As a hockey player you should have a decent set of hands. You should be able to move the puck quickly from side to side and having the odd deke up your sleeve never hurts either. 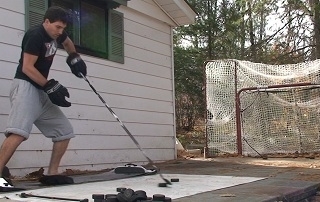 The only way you can develop quick hands is by practicing and that is what the Smathockey stickhandling balls are for. 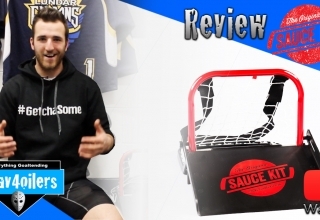 This is a full review of the stickhandling balls. 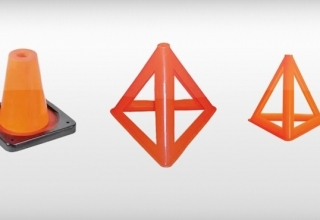 Design – The ball is specifically designed to match the feel of a puck. 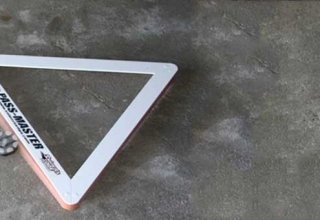 The Smarthockey ball weighs a few ounces less than a puck, this was done because the added friction when used off the ice makes it feel heavier, so the lighter ball should feel like a puck does on the ice. 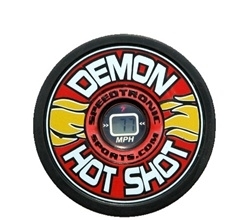 The Smarthockey ball also uses a durable outer core that gives it a similar feel to a hockey puck. 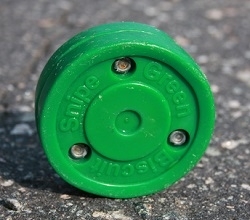 The slide and contact-point was also designed to be as close to a puck as possible. 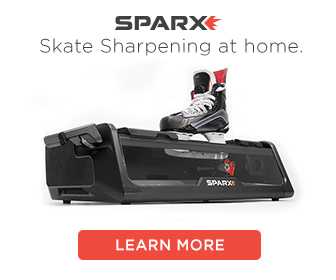 Stickhandling – So does the Smarthockey ball feel just like a puck? Well, no.. It does have a similar feel, but nothing will ever match the feel of a puck on ice. 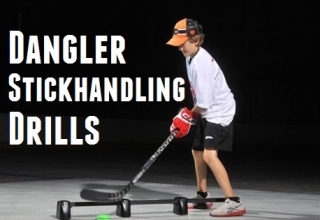 It is very easy to drop the ball anywhere and start practicing, the stickhandling ball will challenge any player to improve their skills. Feel – Like I mentioned above it does not feel exactly like a puck, but it is pretty close. 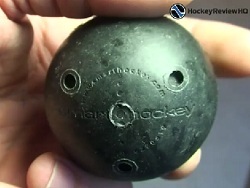 The physics of a ball are different then a puck, but in my mind the balls from SmartHockey are the best out there. I can not really think of any downfalls to the SmartHockey stickhandling balls, if you have tried them and have any complaints then leave a comment in the section below. On January 7th, I purchased the QuickStickz system from Hockey Shot, Inc. for $219.43 from the Hockey Shot, Inc. website. The product that Hockey Shot, Inc. shipped to me did not work. 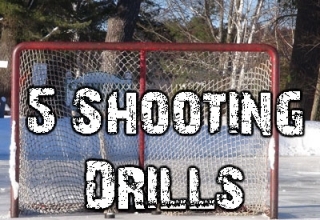 I sent two e-mails to the address provided by Hockey Shot, Inc. requesting their help. 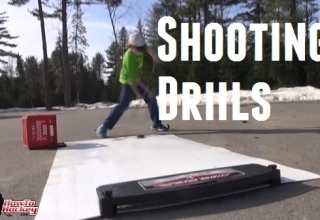 The information provided by Hockey Shot, Inc. did not help, and the product never did work. The puck wouldn’t move on the screen. 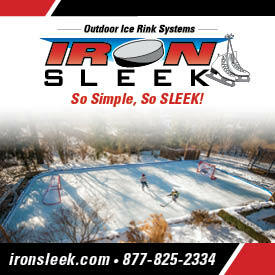 I returned the product to the facility address provided by Hockey Shot, Inc. in St. Louis, MO on February 4th. I mailed the return shipping box (weighing 1 lb. 8.40 oz.) from the US Post Office in Rochester, MN. I sent two e-mails to customerservice@hockeyshot.com on February 21st and February 23rd requesting information regarding my refund. Hockey Shot, Inc. did not respond to weither e-mail, although I provided them with a copy of the order (25458). I contacted my cardholder, Credit Union West of Phoenix, AZ on March 1st. I asked them to look into the matter and help me with getting my money back. Today, March 17, I received a telephone call from Credit Union West, stsating that Hockey Shot, Inc. advised that th3ey had never received the return. Nothing was said of my e-mails of February 21st and February 23rd. What kind of a company would have their customer service reps NOT respond to an inquiry about an order? As it stands, their customer service is poor, and their return tracking is poor. I was going to buy more products from them, but now I simply cannot trust them. Good to know, we have nothing to do with either companies though so we can’t be of much help. I hope you can sort things out though!